IKR was established in 1994 to promote exploration, research, management and conservation of caves and karst ecosystems on Vancouver Island. Its mandate now has expanded across British Columbia. 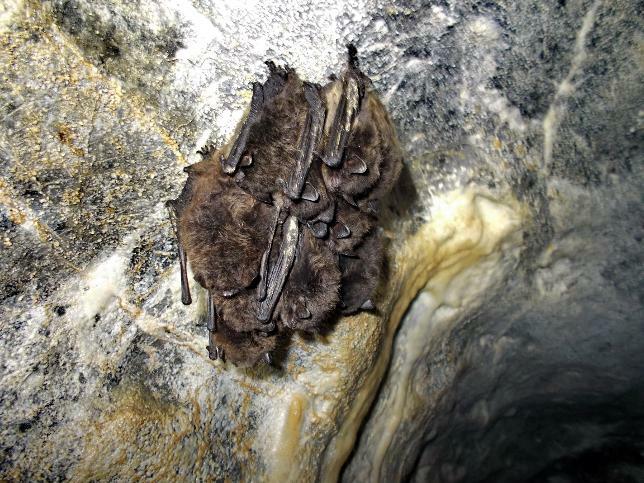 While karst covers only about 4% of Vancouver Island, it hosts exotic ecosystems, is home to the rarest bat in Canada, the Keen's Long-eared Myotis and its caves form critical hibernation sites. IKR pioneered research into this elusive species and first demonstrated cave use by this bat as well as identifying nearby maternity roosts and feeding sites. While karst soils have been demonstrated to enhance tree growth and vigour, as well as richer salmon-spawning habitat, current logging practises paradoxically degrade these environments to a greater degree than non-karstic sites. IKR is instrumental in promoting responsible karst management and conservation in BC by government and industry. Based on its science, IKR also plays a major role in the establishment of protected areas such as provincial parks, recreation sites, Wildlife Habitat Areas and Old Growth Management Areas that conserve exceptional karst on Vancouver Island and elsewhere. Who is Island Karst Research? Martin Davis established IKR and works with other specialists and/or employees as needed, specific to project requirements. He has been an active caver since childhood and is currently a member of the Vancouver Island Cave Exploration Group, the British Columbia Speleological Federation, Karst Specialist Association of BC, BC Bat Action Team, Alberta/BC Cave Rescue and the Canadian Cave Conservancy, of which he was the Chairman for five years. He also helps to develop policy regarding caves and bat habitat in consultation with government and industry. He has explored and conducted research in caves and karst in Ontario, British Columbia, Alberta, Mexico, Belize and Guatemala. He is the Coordinator for the BatCaver program, funded by the Wildlife Conservation Society Canada and works in association with Cori Lausen, PhD with Birchdale Ecologics. This program focuses on bat research and inventory of bat hibernacula across western Canada as well as public education, outreach to the caving community and policy development. For more information, visit the BatCaver website. Left: Myotis volans (Long-legged myotis) hibernating at Ursa Major Cave System, Vancouver Island. This site was the first multispecies bat hibernaculum discovered in British Columbia - identified by our research.